A monthly music periodical that was intended for the young people of the Sunday schools. The periodical's main contents were musical lessons and tunes. 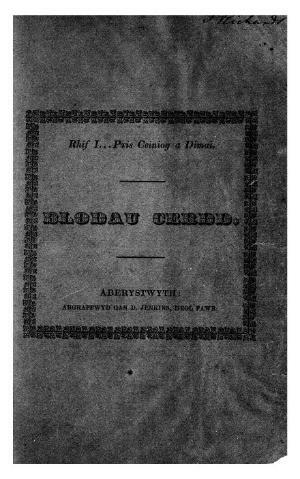 Despite being recognised as the first music periodical in Welsh, technically it was a book published in seven parts. The periodical was edited by the musician, John Roberts (Ieuan Gwyllt, 1822-1877).